No one who is familiar with this real life Gone Girl is surprised at this move. Kelly Rutherford is an extremely disturbed woman who has interfered with the relationship between the children and their father. Her refusal (inability) to share or co-parent is why she has found herself in this predicament. Unfortunately, its her own children whom she is harming. The good news is that she will bring awareness to this form of child abuse; the bad news is that it will be at great cost to her children. Shame on this "mother." The children were "panicky" when they were to return to the father. Blatant Violations of Custody agreement. Claimed father is an arms and drugs dealer. Filing numerous other false allegations. Long before this contentious custody battle, the Gossip Girl was married to a wealthy banker. The banker became fatality ill and while he fought for life Kelly Rutherford abandoned him. That's not the worst part (Google Carlos Taranjano). Now, She has hired a PR firm and a shady lawyer to spin her story into one of American children unjustly being deported, unfortunately, some less sophisticated and informed have bought into it. The children were sent to Monaco by a US Judge who decided it was the best chance of the kids having BOTH parents in their lives. Including trying to get him deported and having his visa revoked. Kelly Rutherford--extreme alienator-- refuses to return children to their father! 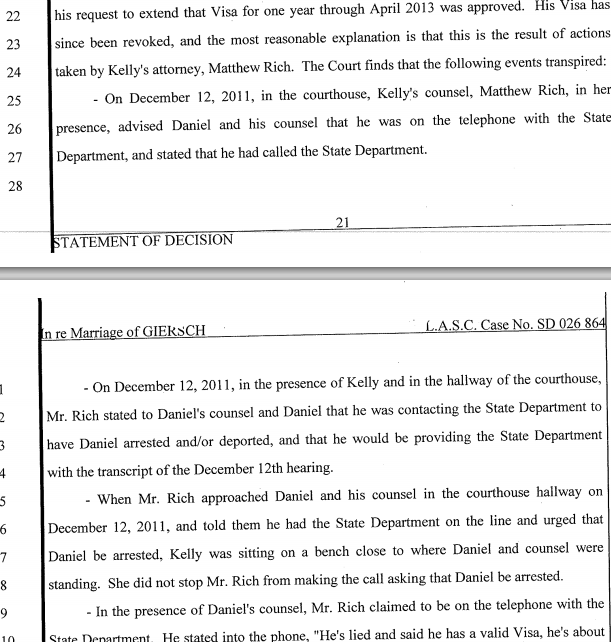 "Daniel will continue to protect the children from any harm and any media exposure. Unfortunately Kelly has now added child abduction to extortion and false statements on her list of actions. Daniel will make sure that the children's safety and well being will be restored as soon as possible. He is very concerned about the traumatic impact that Kelly's behavior will have on the children. 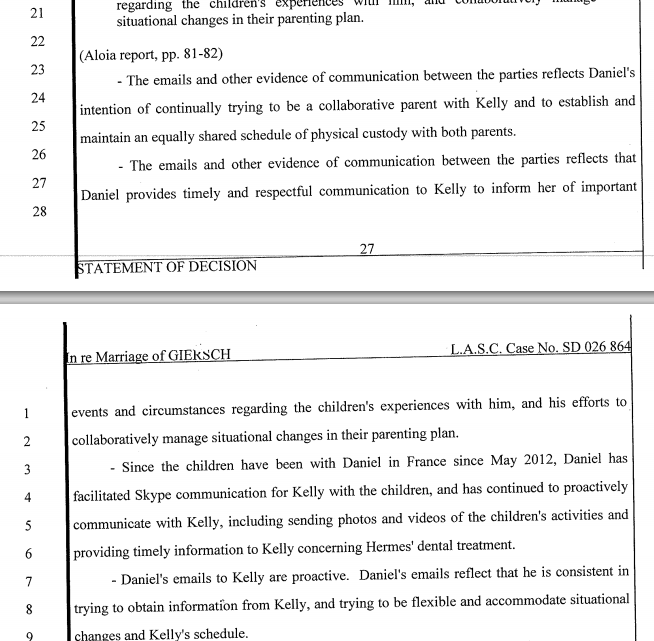 Kelly was to have delivered the children in France to their father on August 7, 2015. Child abduction is a crime, and everyone involved in kidnapping or abducting the children will face the appropriate legal consequences. 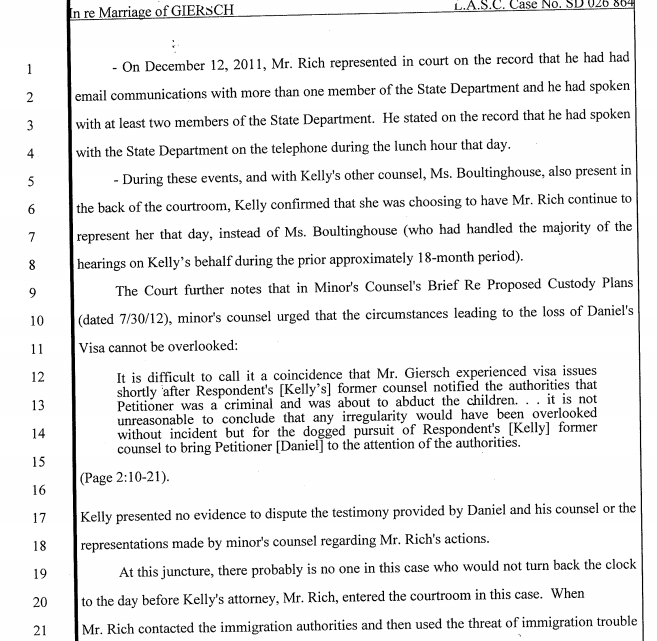 Anyone associating themselves with Kelly and her abduction is violating the law." Read about Kelly's first divorce to Carlos Tarajano. What she did will sicken you. Story below. Gossip Girl, "Sign away rights to the children or I'll lie to state department and have your Visa revoked!" Kelly left her first husband Carlos Tarajano after he developed a very serious heart condition a few months after they married in June 2001. Her bags were packed, and out the door by the following January. They were to be featured on InStyle Weddings (magazine and television special) in Febuary. Carlos was surprised and upset that their wedding was still being featured because Kelly had already left. Instyle said Kelly assured them everything was great, and they were still together. Carlos died in 2004. Gossip Girl files numerous FALSE ACCUSATIONS: "Daniel dealing arms and drugs and... is homicidal"
Kelly Rutherford had been married before to wealthy banker, Carlos Taranjano. However, when he suffered from an unforeseen ailment, she packed up and left. He was heartbroken. But its what she did afterwards that is even more despicable and quite telling of the Gossip Girl actress. Read on. Kelly Rutherford Divorces!On Jan. 22, millions of viewers tuned into NBC's "InStyle Celebrity Weddings" to watch lovebirds KELLY RUTHERFORD andCARLOS TARAJANO recite their marriage vows. But the couple's fairytale romance turned into a horror story when Carlos was struck down by near-fatal illness. 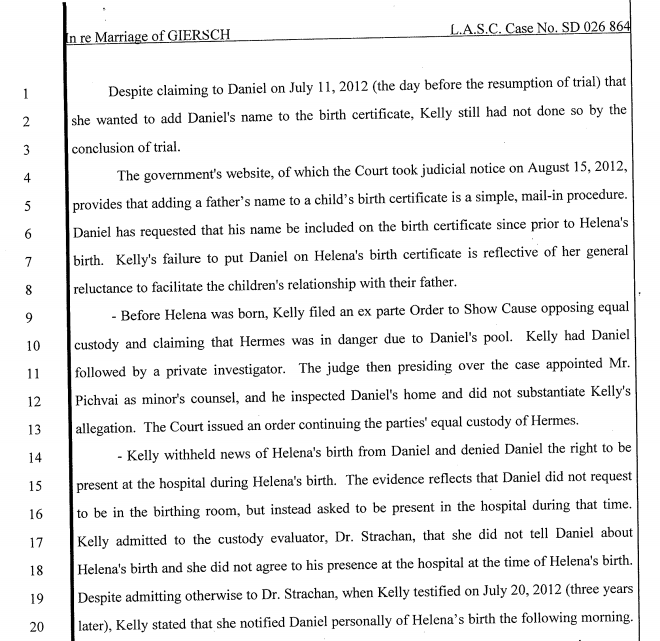 While a devoted Kelly stood by his side as he recuperated, on Jan. 11, she filed for divorce. And ET has the exclusive story! It was love at first sight when Carlos, a banker, spotted the former "Melrose Place" starlet across a crowded restaurant over a year ago. As Carlos told ET, "One of my first questions was, 'Will you marry me?'" That same evening, the smitten groom-to-be designed a wedding ring that he slipped on Kelly's finger a few months later. The couple tied the knot eight months later, in June 2001. But alas, this Hollywood story did not have a happy ending: Three months after the wedding, Carlos collapsed while taking a shower and was rushed to the hospital. "Thank God she was taking her makeup off while I was talking to her," he recalls. "I nearly died in the shower." Carlos, who was diagnosed with a heart condition, contends that Kelly never left his side during his stay in the hospital. But he claims that her dedication seemed to wane once he returned home. At first, Carlos depended on Kelly completely—even just to tie his shoes or brush his teeth! As he recovered, however, Carlos said that his new wife became more distant. Eventually, Kelly packed up and left. Carlos says that his repeated attempts to reconcile proved unsucessful. Then, he discovered that "InStyle Celebrity Weddings" was ready to air footage of the couple's big day and a wedding-related interview. Surprised, Carlos called the magazine but was told that Kelly had reassured them that all was well with the marriage. So the magazine went ahead and aired the segment. Despite being embarrassed by the "InStyle" telecast, Carlos asserts that he is "not mad—I am disappointed." Carlos maintains to this day that Kelly loved him at the time they wed. "I'm in love with the old Kelly, not the Kelly that did this to me," he told ET. "If it had been the other way around, I would never have left her side; I promised in front of God to stay with her until death do us part." Rutherford’s first marriage, to banker Carlos Tarajano (she has a type--rich), lasted less than six months. By the time InStyle Celebrity Weddings showed their interview, she’d already split. If that’s not dramatic enough for you, Tarajano managed to suffer a cardiac arrest three months before she left. If GG writers run out of ideas, maybe they should turn it into a reality show. Gossip Girl star Kelly Rutherford, the news that she was expecting her second child came as a bittersweet surprise. Already the mother of adorable 2 ½-year-old son Hermés Gustaf Daniel, Kelly was overjoyed at the idea of having another baby. But her volatile three-year marriage to the children’s father was already at the breaking point. So when she was three months pregnant, Kelly, 40, made the heart-wrenching decision to leave her husband, Daniel Giersch, and have the baby on her own. Their daughter, Helena Grace, was born on June 8th in Los Angeles. Now, for the first time since the controversial split, Kelly is speaking out. She recently sat down with Life & Style at her home to set the record straight on her life-changing choice, her bitter custody battle and her plans to raise her two children on her own. Kelly says it didn’t take long for her to realize she and her husband, a German entrepreneur, weren’t the ideal match they seemed to be at first. Still, for Hermés’ sake, she tried to make the relationship work. The couple conceived Helena when they were trying to make things work. And when Kelly realized she was expecting again, she thought another baby might actually save her marriage. The strain at home, Kelly reveals, was made even worse by her husband’s professional troubles. Courtesy Albert Ferreira/Life & Style for use on CBBDespite extremely tense relations with her ex, Kelly is flourishing in her new role as a single mom. And she doesn’t think she needs her ex — or any man — to make her family complete. Her ex seems to disagree. He’s taken Kelly to court in an attempt to keep her from taking Hermés back to NYC, where Gossip Girl has started filming its third season. As strong as Kelly is, it’s clear the emotional and financial drain of the legal drama is taking its toll on her and the kids. “I’m not asking him for anything,” Kelly says. “He never supported me, and I never expected him to. I’m not even asking for child support.” But lawyer fees are costing her children dearly. Source: Life & Style — see a fourth photo of Helena at the link!